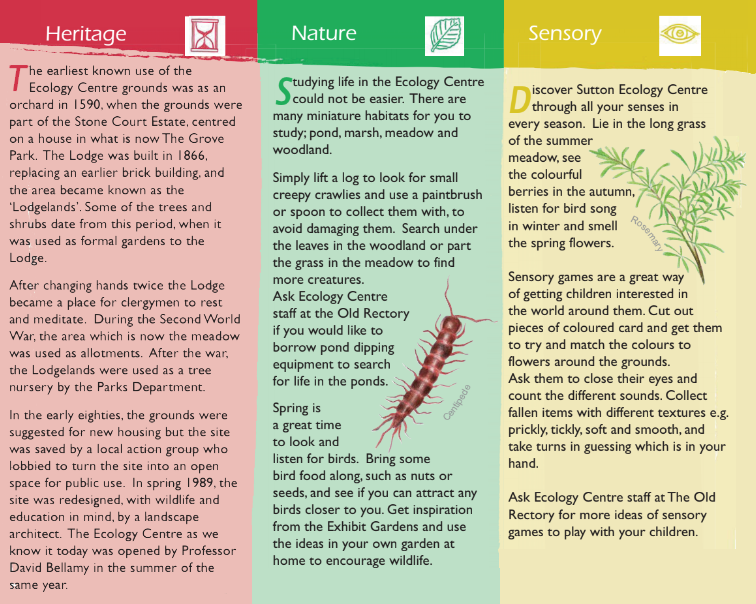 The Sutton Ecology Centre Nature Trail is open to all, so come along after school or at the weekend for a stroll and an explore! See if you can spot seasonal changes to the plants and animal habitats, and discover hidden gems like the butterfly and forest gardens or the marsh and pond. Simply bring along your leaflet and explore the trail at your leisure during centre opening hours (see below). How does the trail work? Follow the numbered waymarkers around the grounds. 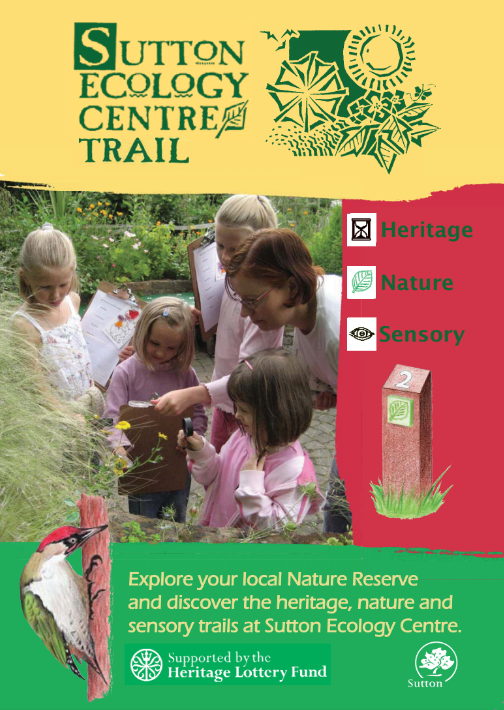 The trail has been designed to include information about the nature, heritage and sensory aspects of this local nature reserve. The markers include symbols to highlight the three different aspects of the trail. The trail was developed as part of a Heritage Lottery Funded project to enhance the interpretation at the Sutton Ecology Centre and regenerate the grounds. Always wash your hands afterwards. The grounds are open to the public from 9am until sunset, Monday through Sunday, all year round. If you are visiting with an organised group, please book in advance as the grounds are used for teaching and volunteering by the biodiversity team throughout the week. For bookings, advice and information, please call Sutton Biodiversity and Wildlife on 020 8770 5820 or email biodiversity@sutton.gov.uk. 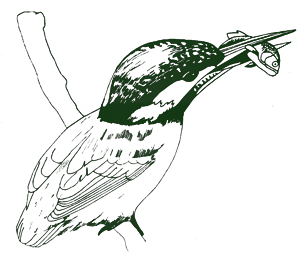 Find out more about Sutton Biodiversity and Wildlife with Sutton Council. To find out how to become a Friend of Sutton Ecology, please email friends.ecology@yahoo.co.uk or visit them on Facebook. To book a place on a scheduled event, please visit Sutton Ecology Centre Bookings. You will need to create an account and book each person on. For information on Sutton Nature / Biodiversity events, please email sncvvolunteers@hotmail.co.uk or biodiversity@sutton.gov.uk and for all school holiday events, please email biodiversity@sutton.gov.uk or, call 020 8770 5820 (for all events).